One of my favorite kitchen tools is my waffle maker. Homemade waffles are so much better than anything you’d find in the freezer aisle of the local grocery store! 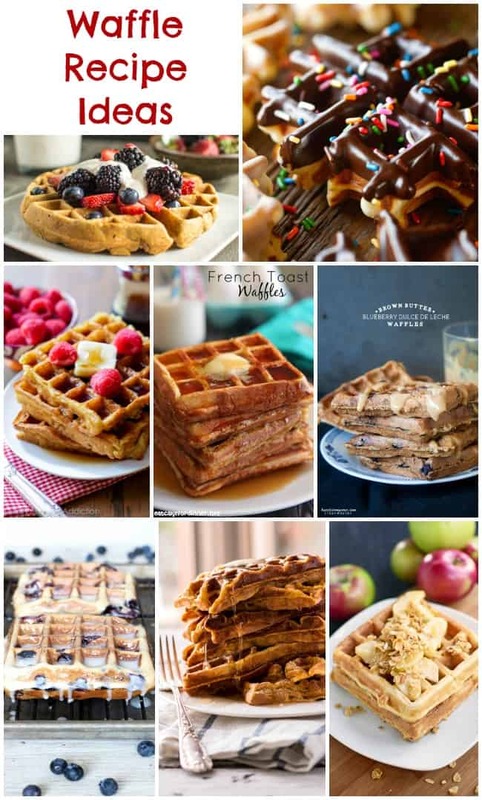 This collection of waffle recipes includes recipes for breakfast, brunch, dinner and dessert waffles. 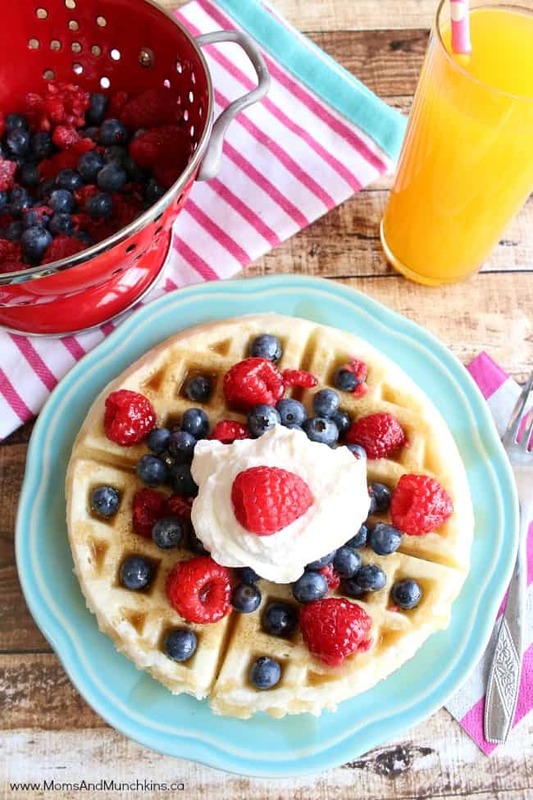 Yes, you can eat waffles all day long – hooray! This is a collection from other talented bloggers and bakers. To view the full recipe for each, simply click on the titles of the recipes and they’ll open in new windows for you. 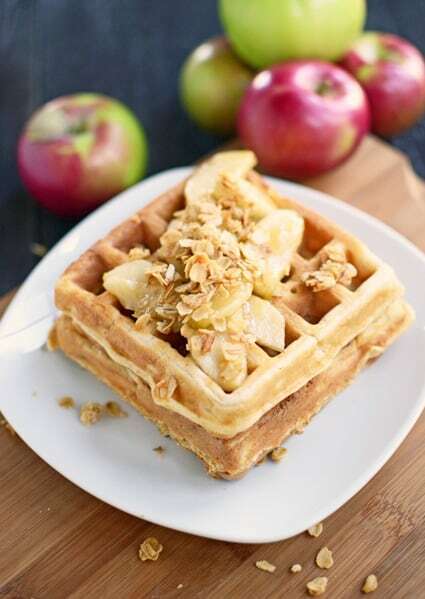 This Apple Granola Belgian Waffles recipe (pictured above) by The Well Floured Kitchen looks both healthy and delicious. I bet this breakfast is packed with enough energy to keep you going all morning. 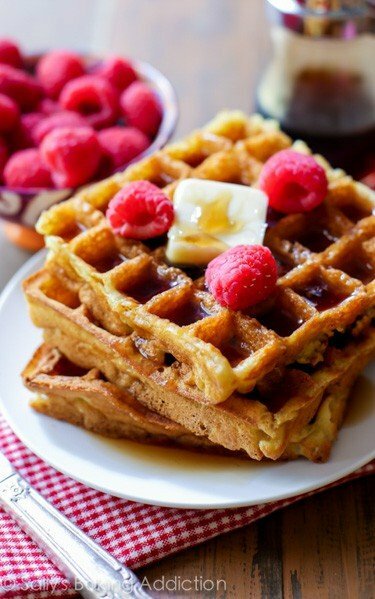 This is my favorite homemade waffle recipe and it’s great for feeding a crowd! You can make it the night before and just store the batter in the refrigerator. 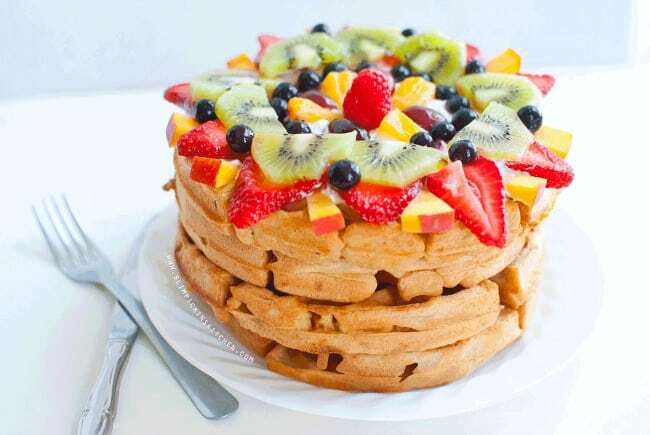 These Whole-Wheat Fruit Pizza Waffles by Slim Pickin’s Kitchen would be great for breakfast or dessert – or both! With such a pretty display, they are almost too cute to eat. 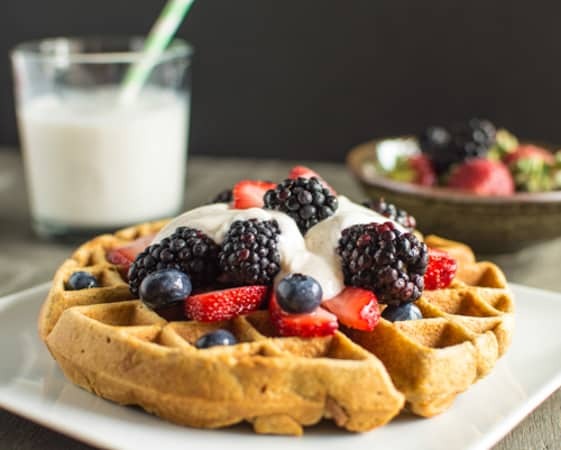 These Ginger Oatmeal Waffles & Yogurt “Whipped Cream” by Healthy Nibbles & Bites are packed full of healthy ingredients so don’t feel guilty when you eat two. Can’t decide between French Toast or waffles for breakfast? 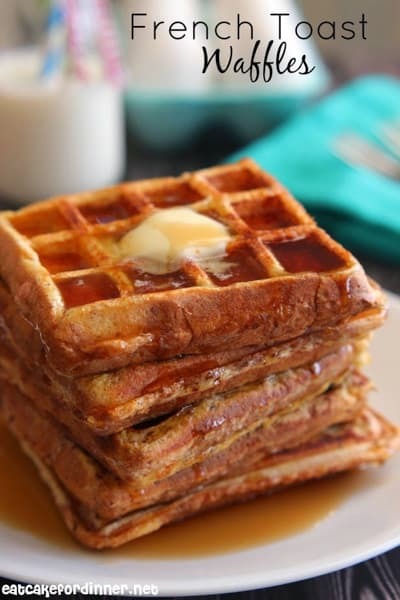 Then these French Toast Waffles by Eat Cake for Dinner would be perfect for you. Look at all that syrup – yum! You can’t go wrong with classic buttermilk waffles and this Favorite Buttermilk Waffles recipe by Sally’s Baking Addictions looks like one you’ll want to add to your family’s recipe book. 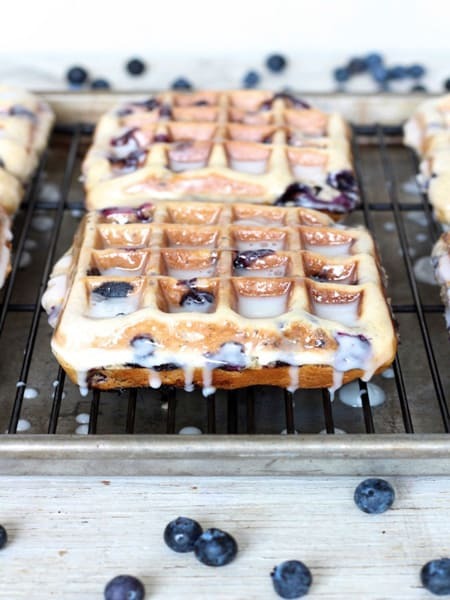 These Blueberry Cake Waffles by The Baker Mama look irresistible. Packed with blueberries, I’m sure these fall into the healthy breakfast category. 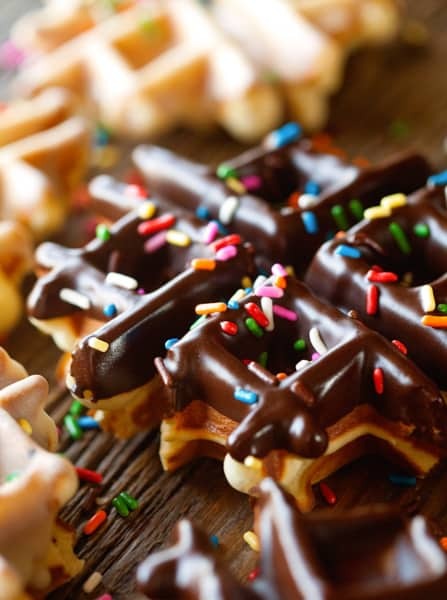 These Real Deal Waffle Donuts by Deliciously Yum are making me drool. They look like a perfect party dessert but be sure to make extras because I’m sure they’ll disappear quickly. Pumpkin recipes aren’t just for Thanksgiving! 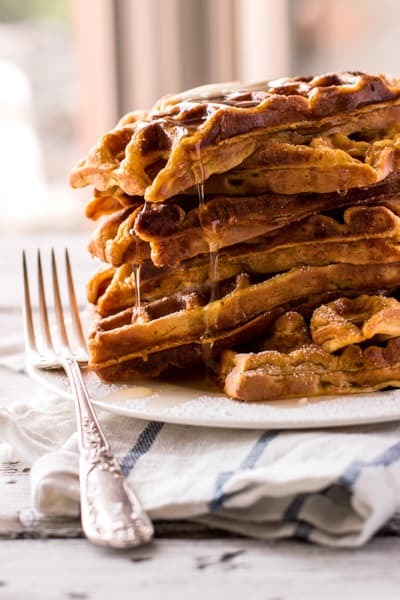 These Simple Pumpkin Waffles by Savory Nothings can be enjoyed all year long. Carrot cake and waffles together as one? I’ll take two! 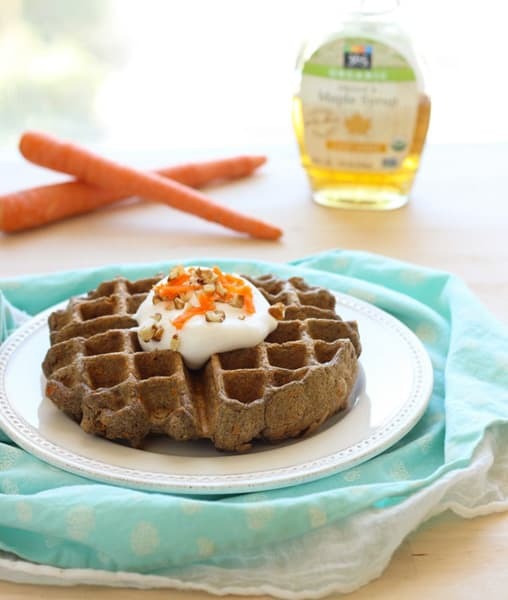 These Carrot Cake Waffles by Making Thyme for Health are sure to be a hit with your next overnight house guests. 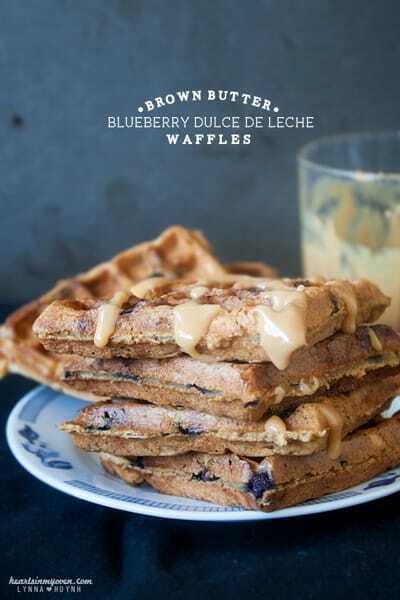 Grab a glass of milk to wash down these Brown Butter Blueberry Dulce de Leche Waffles by Hearts in My Oven. You’re sure to get requests to make these ones over and over again. Have you ever had waffles for dinner? 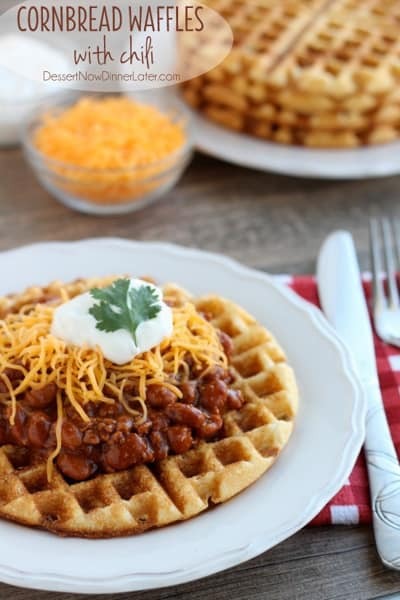 These Cornbread Waffles with Chili by Dessert Now Dinner Later would be perfect for supper. My dad loves cornbread so I’ll have to make this recipe for him sometime. 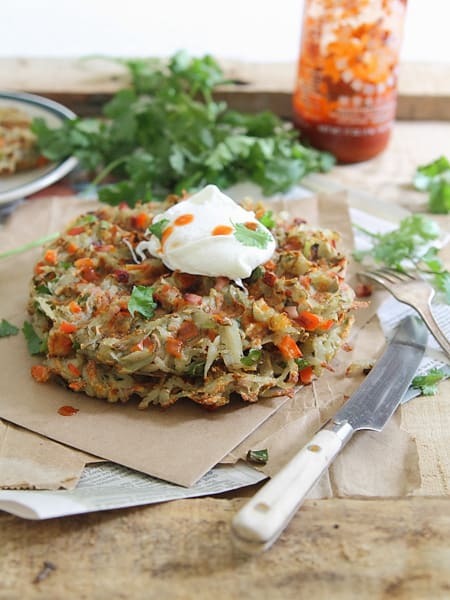 These are so unique – Southwestern Hash Brown Waffles by Running to the Kitchen. It’s like all of your favorite breakfast foods in one delicious waffle! Don’t forget to visit our collection of homemade syrup recipes for delicious topping ideas for your waffles. These all look sooooo delicious!! I’ve been eyeing waffle makers for some time now and I think you finally put me over the edge. LOL!